New World Order is the term we use to describe the one world government and one world religion that the Bible predicts in Revelation 13. However, there is nothing new about the push for a one world system. The idea goes all the way back to the Tower of Babel and the empire of Babylon. For years, many theologians have wrongly taught that the United States is not mentioned in Bible prophecy. 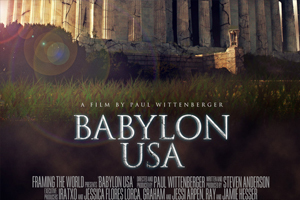 This new film, Babylon USA, will demonstrate that the United States is the key player in creating the New World Order that will put the Antichrist into power.